Improved iPhone and iPad support! 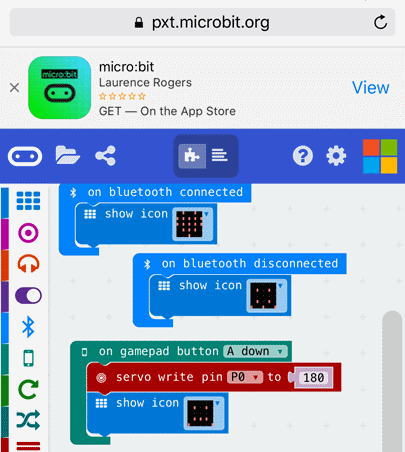 The iOS micro:bit app got recently updated by ScienceScope. 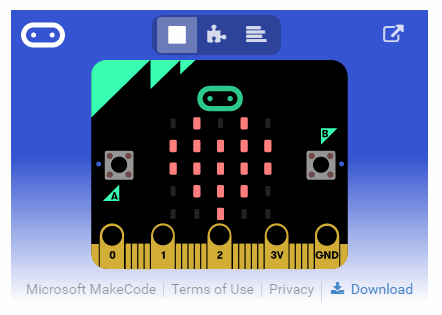 Fixes in this release, improve the coding and flashing experience of the micro:bit on iPhone and iPads. Shared project can be embedded in web pages and blogs. When this happens, the size of the editor is usually much small than the regular full screen when editing. We’ve worked on this experience so that your shared project look great… even when browsed from a mobile phone. Ever dreamed of rolling out your own BLE service? Now is the time! Leveraging the package system from PXT, you can create your very own BLE services like the bluetooth temperature sensor service sample. In the Milk Carton Robot, you turn a used milk carton into a funny robot. Peter Heldens @peterheldens contributed the Milk Monster in English and Dutch! Flip a coin and learn about conditionals.